Did you know 73% of people say they were never taught anything about goal setting in their youth? This explains my avoidance of goals, I guess. The word makes me cringe a little. It just isn't something that comes naturally to me. Maybe that's because I wasn't taught much about goal setting or had accountability around me that prompted me to complete goals. I have set goals and actually crossed the finish line though. One of the big ones that comes to mind is finishing my Bachelor's Degree. I went back to school after my kids went to college and completed my Organizational Leadership degree. But it's more the daily things that seem to fall by the wayside for me. I'd like to be able to set more goals for a short period of time, like a day, and get to sunset and say "Wow, I completed this today." One of the new goals I've set is to get in better shape physically by way of fitness. I used to be an avid walker, walking almost 4 miles a day, 5-6 days a week. But that was twenty years ago. I keep thinking it was "yesterday" and that getting back into a routine won't be that hard. Actually, the reality of that has hit me recently and I've realized it's going to be a bit like starting over. I have to make adjustments now because, after all, I am twenty years older. My body needs a recovery day here and there throughout the week depending on the intensity of my exercise. Adjustment is necessary when working toward a goal. My parents and my mother in law needed to be moved into extended care homes while I was finishing my college degree. This necessitated me taking a 2 month break in my classes to allow me to focus on helping my husband and siblings with packing and moving them to a new location. Life happens and goal adjustments are necessary much of the time. 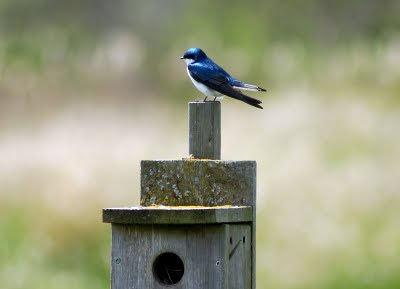 My inspiration is the memory of watching a bird building a nest in the birdhouse in our backyard. I found it fascinating watching a little bird fly up to the 1 1/2 inch hole in our birdhouse with a 3-4 inch twig in its beak and observe all the contortions necessary to get the twig into the hole. It would try all different angles, hopping around, turning its head up, down, twisting to one side or the other, until....finally, after multiple attempts, one end of the twig went into the opening of the house and the bird could maneuver the rest of it inside. Mission accomplished! This process would often take quite awhile. When the bird finally succeeded in getting the twig inside, I felt like cheering for their little victory. In thinking about all the labor involved for the bird to accomplish just this one feat, I realized the ultimate goal, the big picture, was to complete the nest so there would be a place to hatch and nurture the offspring. But to finally realize the goal, my little feathered friend would have to go out everyday and not only look for twigs and get them into the nest, but find its own nourishment, avoid predators and look after its own welfare. Some days were better than others, I'm sure. So it is for me with my fitness goals. In order to be able to walk/run a 10K at some point, I have to get outside regularly a few times each week and push myself to move. I need to increase my pace or intensity at regular intervals so I remain challenged and motivated to continue to my goal of getting more physically fit. I will have obstacles...apathy, inclement weather, a busy day, etc. These are all things that will attempt to divert my motivation. But I need to remember the big picture. It will be the little daily victories that get me there. One day at a time...just like the twig gatherer. Then one day I can cheer when I cross the finish line.